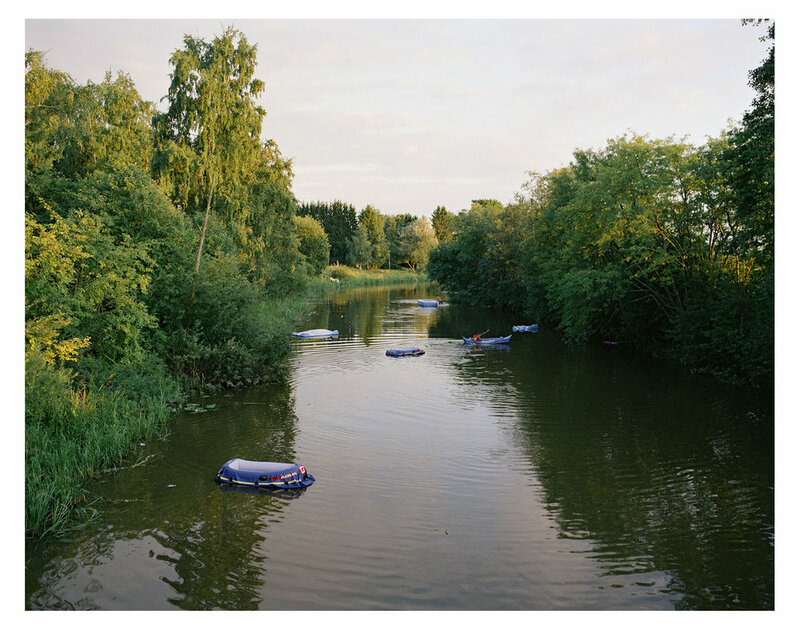 Jussi Puikkonen’s Afterparty explores human traces in a landscape. His works focus on a carnival landscape and what happens to it after a celebration. The images show the signs of joy and getting together before the cleaners arrive. The series includes photographs from different festivals, public events, anniversaries and house parties in Finland, the UK, Netherlands, Spain, Mexico and France. 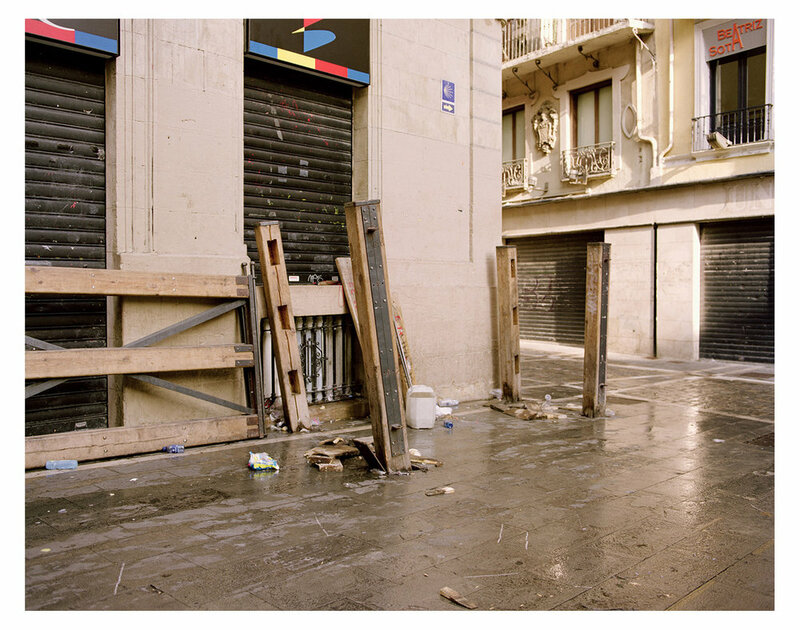 The works depict the moments after people have left the venue, leaving behind trash, decorations and tents as well as wear and tear on the environment. I didn’t take part in any of the events featured in the exhibition, but some of them did disturb my sleep. As a child, I found it fascinating to be the first one up in the morning after knowing that my parents had held a party. Our home looked different when it was full of dishes, bottles, leftovers, decorations and unfamiliar smells. I was so young that I was sleeping during the parties. Grown-up parties were something mysterious and I was only able to hear the buzz of conversation and see the mess in the morning. It was fascinating to imagine who had been at the party and what had happened. Through this project I have returned to that moment after a party, a moment familiar from my childhood. Human traces raise questions as to what has happened in a certain place, giving rise to thought-provoking, imaginary stories. The traces left on the landscape are a concrete sign that something special happened right before the photo was taken, although in reality special things have happened in the same place for centuries. The photos are proof, based on which one’s imagination builds a story.